Published: October 25, 2012 | This entry was posted in North American New Right and tagged ancient Rome, articles, Benito Mussolini, education, eugenics, fascism, Italy, Lycurgus, Mark Dyal, North American New Right, originals, physical fitness, Plutarch, Sparta, warrior ethics. Both comments and trackbacks are currently closed. Sparta provides two other models for us to take heed from. Their men spent virtually all of their time drilling for war and had a very low birthrate. Their elite hoplites were rightly feared everywhere but because they rarely numbered more than 10,000 or so the loss of even a small number of them was unthinkable – which impacted their own military decisions during the Peloponnesian war and other conflicts. Even sending them outside their territory risked catastrophic revolt and disaster (see below). Lesson: must have high birthrate to survive. Additionally, they had a huge serf- or slave-like population of helots in and around their state, vastly outnumbering the Spartans, and hating Sparta and chafing for a takeover. THEY had a normal birthrate btw. Sound familiar? Lesson: the obvious. A fascinating article, I also look forward to the next installment. However this same Sparta ended up with the problem of an ever shrinking citizenry outnumbered by all the non-citizens. This Utopia is unsustainable and once the Spartan society ran out of enemies they could only then fight among themselves or no longer train for war. Once an old man at the Games couldn’t find a seat and none of the young Athenians would get up, but all the Spartans did. The man said, all Greeks know what is right, but Spartans actually do it. 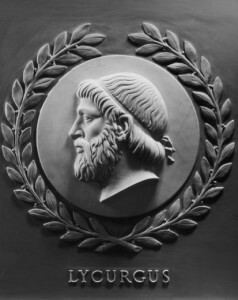 Plato deeply admired Sparta and its virtues, seeing them as the Wisdom of Socrates made manifest. But no matter how exalted, the physical must fall short of the Ideal Form. But there is no contradiction – only yearning to towards the Good, the True, and the Beautiful. And the Body, a Tomb of the Spirit as well as its well crafted vehicle until the release of death. And for the true Philosopher, that Death is sweet indeed, a birth into a the True World that he contemplated through the glass darkly, the bodily tomb. Great stuff. Looking forward to the next part.